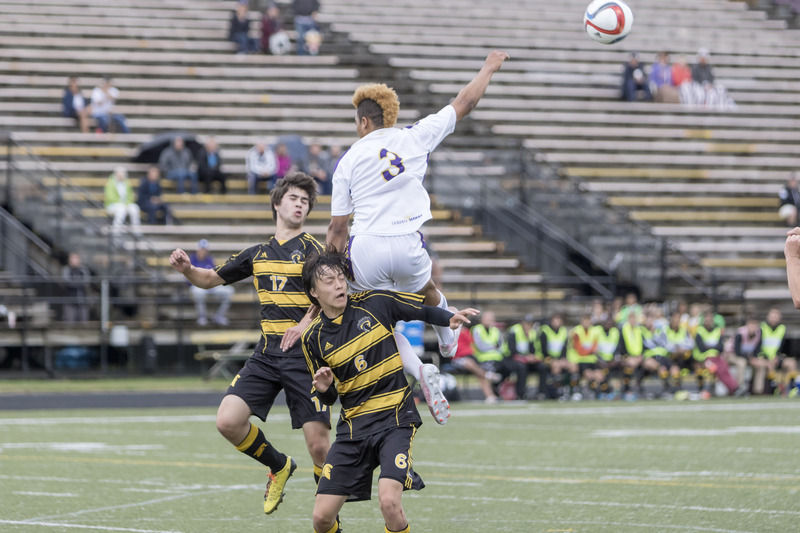 After a few winless games, the Wilfrid Laurier University men’s soccer team were in need of a breakout game. With their last win coming against the Algoma Thunderbirds on Aug. 31, the Hawks went 0-2-1 over their next three games and were looking for a critical three points coming into the weekend. On Sept. 19, third-year Niklas Bauer delivered. The veteran midfielder scored four goals in the Hawks’ dominating 7-0 win over the Waterloo Warriors and opened the scoring in a 2-0 win against the Guelph Gryphons, making a statement. “They executed game plan one hundred per cent. They did what they were supposed to do. They competed. The last time they played they did not compete. They competed from the first minute to the last minute,” he continued. The Hawks were deadlocked at zeroes with the Warriors in the first half. But the second half was a completely different story. Bauer broke out and scored on a beautiful header goal that sailed past Waterloo goalkeeper Paico Avilez. He scored again, and then not even two minutes later Bauer completed the hat trick. The goals came fast and furiously, and in a blink of an eye the Hawks had a 4-0 lead after the 66th minute. The Hawks weren’t done after that. Bauer will add his fourth of the day, propelling himself up to six goals for the season, good enough for second-place in the Ontario University Athletics goal-scoring category, and rookie Leonardo Leone and third-year Michael Warden each added a tally of their own that buried the Warriors in a 7-0 victory. “I guess it’s just when you get one goal in and sometimes the floodgates open and it just gets easier, and I guess it all went right today,” Bauer said. According to Halapir, the Hawks were in need of a breakout game after their recent struggles, and planned for the game against Waterloo to be the game they broke out. “We were planning for this to be a breakout game. I asked for five — they gave me seven. I would have been happy with one,” he said. The Hawks hope to keep the momentum when they host the Brock Badgers on Sept. 25. Kickoff is at 8:15 p.m. at University Stadium.